So on Sunday, my son asked me to take him to a park that he hasn’t been to since he went there on a kindergarten field trip nine years ago. It’s a nice park but I wasn’t sure why my 15-year-old decided, out of the blue, that he needed to go to this park which is about 20 miles from our house. I asked some questions about who was going to be there and what they were planning to do. He told me some of his friends were going to hang out there. I was still puzzled…the park has playground equipment for little kids…nothing really for teenagers to do. Unless, of course, you’re hunting for Pokemon. Yep…that’s what the trip to the park was all about…catching Pokemon. Now I had heard rumblings about the Pokemon Go app but since I am not in the target audience for anything Pokemon, I hadn’t paid much attention until Sunday. My son explained and showed me what he was doing and how. I had seen a few Twitter posts that included photos with Pokemon in random places but hadn’t made the connection. Soon, it all made sense. For my boys, Pokemon has been something they’ve interacted with in one way or another for almost their entire lives. From collecting and trading cards, to playing with Pokemon play sets, to playing for hours on their Nintendo DS’s – it has evolved (as Pokemon in general do) as they have gotten older. Now, Pokemon Go is the next greatest Pokemon thing. To be honest, I thought they were through the phase but now they are in deeper than I think they ever were. And really, who can blame them? 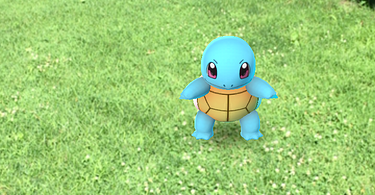 Nintendo teamed with Niantic using augmented reality to create an incredible phenomenon. Did you know that just two days after the app was released, the daily number of active users - on android only - was approaching that of Twitter? Nintendo marketers must be geniuses, right? How did they do this? Millions of people are playing; millions more are talking about it on TV, the radio and social media; no one’s getting mad that their system was overloaded and causing delays; and their stock price increased by 9% on the day it was released…not a bad first week. I know what you’re thinking…what can I, as a B2B marketer, take away from Pokemon Go – an augmented reality GAME? After all, my company sells products (or services) that are much more serious than a game. Truth is, there is much to be learned from this launch. Here are three key things I learned. Have you seen any commercials – print, TV or otherwise – for Pokemon Go? The answer is no. Nintendo did not promote this app in traditional ways. When I asked my son how he knew about Pokemon Go, his answer was Twitter. Our summer intern, Drew Davidoff, is a big fan. He shared with me that he’s been following the game on social media for about a year…since it was first announced. With the exception of a trailer on YouTube, there hasn’t been any mainstream media promotion of Pokemon Go. Social media can be just as powerful for a small to mid-size B2B business…not to mention economical. If you haven’t developed a solid social media strategy, the time to do so is now. Even if you think you have a strategy, it can probably be better. Start by revisiting your buyer personas and identify where your target audience is engaging. Figure out what topics and content types cause them to engage. Refresh your company pages. Start doing more than just promoting your own content. Your prospects are people – engage with them in relevant, informative conversations. Join groups or better yet start groups and invite prospects to join. There’s something about being part of an “invite-only” group. People naturally want to be part of the club. Try something you haven’t done in the past like a quiz or using video. Social media takes time but not a lot of money. Devote resources to it and it can be as powerful as Pikachu. How many Pokemon photos have you seen in your newsfeeds this week? I bet you can’t even count. Unless you’ve been living under a rock (or don’t use social media), you’ve seen at least one photo and it wasn’t posted by Nintendo. Trainers, if you will, are taking every opportunity to post photos of their Pokemon. It is a game – competition is part of it – so they want everyone to know that they are catching them. And every time they post, it is more FREE exposure for Nintendo. User-generated marketing can work for B2B organizations too. Remember “Flat Stanley?” When my kids were younger, one of their assignments for school was to send Flat Stanley to friends and relatives who lived or were traveling to places outside of our city. They would then take Stanley out and about and take photos with him and send the photos back to the class. One of the consulting engineering firms I worked for tried their own Flat Stanley but with customers. They called him Engineering Ed. Since it was a global firm, Ed was photographed all over the world in many different types of engineering and environmental type projects with our smiling customers. The photos were posted on our website and shared in newsletters and emails. Before long, other customers were requesting their own Ed so they could take photos with him on our projects. They began posting the photos on their own websites in addition to sending them to us. Today, those photos would have been mixed with videos. They also would have been shared on social media and gotten even more exposure. My point is, if a stuffy engineering firm could make user-generated marketing work for them before it was even a thing, so can you. Find your Flat Stanley. If you’re really a hero to your customers, they’ll be excited to share their stories, photos and videos with the world…and it will cost your budget next to nothing. Clearly, Nintendo knows their audience. They knew who they wanted to be a hero to and identified something that audience didn’t even realize they wanted…and created it. And look what happened? 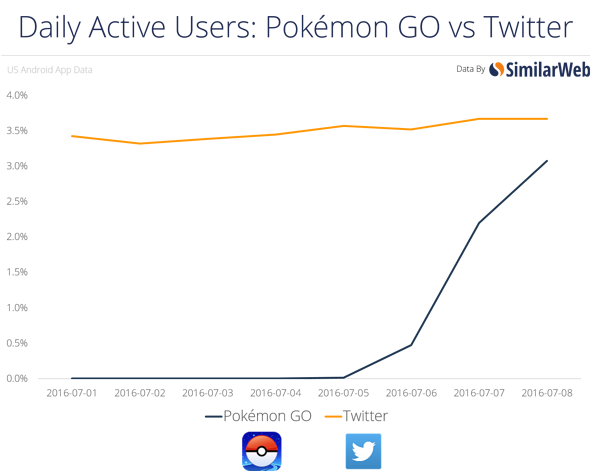 After one week, everyone has at least heard of Pokemon Go. They have truly created a phenomenon. If Nintendo didn’t know their audience, they wouldn’t have been able to pull this off. The beginning of the success of Pokemon Go was Nintendo’s focus on their buyer personas. Grumble all you want about how difficult it is to put buyer personas together. The fact is, if you don’t know your target audience better than you know yourself, the success of your demand generation strategy will always be limited. Invest the time in building your personas and evaluating them at least quarterly. The one thing you can always count on is change. Your buyer personas are alive – treat them that way. Pokemon Go is teaching the world a lot of things. Step back and take it in…and have fun catching some Pokemon while you’re at it.